Saudi Arabia and its allies, which have severed ties with Qatar, have added nine individuals from Qatar, Yemen, Kuwait and Libya as well as nine other organizations from Yemen and Libya to their list of terror entities and individuals with links with Qatar. The new nine individuals and nine organizations add up to a terror list composed of 59 individuals and 12 organizations issued by Saudi Arabia, United Arab Emirates (UAE), Bahrain and Egypt on June 8 for their alleged links with Qatar. Tension between the Saudi-led bloc and Qatar, which has been ongoing for several months, climaxed on June 5 when the bloc severed ties with the tiny gulf country over it alleged funding for terrorism in the region and in the world. Qatar has rejected the accusations and mocked the list as being fabricated. The new nine individuals include a Kuwaiti, three Qataris, three Yemenis and two Libyans. The men are singled out for their support for al Qaeda and al-Nusra in Syria, in Yemen and other terrorist groups in Libya with Qatar-links funding. The nine entities targeted include three Yemeni and six Libyan organizations. 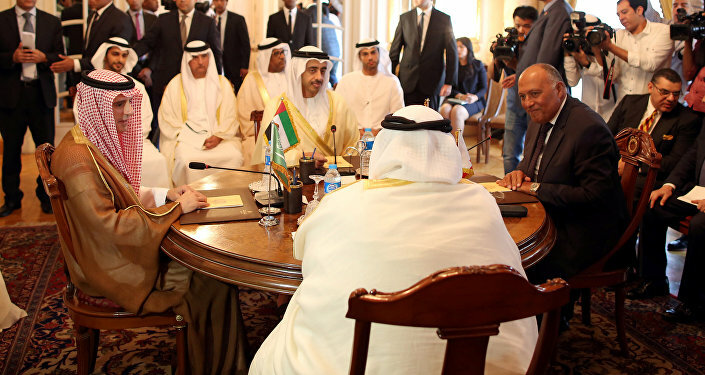 Several countries, including Kuwait, the US and Turkey have been mediating the crisis. Washington last week praised Qatar after its ruler brought amendments to the country’s counterterrorism laws, seeking to fight funding for terrorism. US Secretary of State Rex Tillerson who toured the region last week urged the boycotting countries to follow Qatar. Turkish President, Erdogan also visited the region July 23-24 and told the protagonists that the ‘deadlock does not benefit anyone’. Qatar’s ruler Sheikh Tamim said in a speech aired Friday that his country was open to dialogue on condition that Qatar’s sovereignty is respected. The following day, the UAE welcomed the dialogue proposed by Sheikh Tamim but said it cannot take shape if Qatar does not review its position.